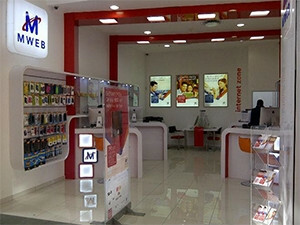 MWeb is one of the leading South African Internet service providers. The Competition Commission has recommended the approval of Dimension Data's (DiData's) proposed acquisition of MWeb Connect. Last year, it was announced that the Internet Solutions parent company had entered an agreement to acquire the business of MWeb for an undisclosed sum. In a statement, the commission says it has recommended to the Competition Tribunal to approve the merger subject to public interest conditions relating to employment. According to the commission, it found the proposed transaction unlikely to substantially prevent or lessen competition in any market. The commission's recommended conditions require that in the event that the merging parties proceed with any retrenchments, they must ensure that they follow the applicable Labour Relations Act processes. In SA, DiData operates through a variety of subsidiaries and divisions that specialise in IT and communications services. It provides solutions that help clients plan, build, support and manage their IT and communications infrastructures. Meanwhile, MWeb comprises of the Internet access and ancillary services business of MWeb. In addition, it offers retail services to consumers including small office or home office.